BofAs Countrywide unit should pay the maximum of $2.1 billion in penalties for selling defective mortgage loans to Fannie and Freddie, the U.S. said. Bank of America Corp.’s Countrywide unit should pay the maximum of $2.1 billion in penalties for selling defective mortgage loans to Fannie Mae and Freddie Mac in the run-up to the 2008 financial crisis, the U.S. said. U.S. District Judge Jed Rakoff in Manhattan is considering how much to penalize the bank following months of arguments over the size of the civil fine that Charlotte, North Carolina-based Bank of America should pay in the first mortgage-fraud case brought by the U.S. to go trial. The bank has claimed it should have to pay $1.1 million at most. “To punish defendants for their culpability and bad faith, and to deter financial institutions and their executives who would engage in similar fraudulent mortgage schemes, the court should impose the maximum penalty,” Manhattan U.S. Attorney Preet Bharara said in a court filing yesterday. Countrywide is still a defendant in a securities fraud case brought by the Federal Housing Finance Agency, the conservator of Fannie Mae and Freddie Mac, over billions of dollars in residential mortgage-based securities. Bank of America and Countrywide also face $10 billion in claims by American International Group Inc. over mortgage securities. Rakoff on Dec. 5 asked for a supplemental briefing to determine Countrywide’s “pecuniary gain” from a “scheme to defraud,” according to court papers. Bharara’s lawyers asked the court to use “gross gain, rather than net gain” as the penalty benchmark, and to define “gain” as “all revenue or proceeds derived from the wrongdoing” rather than “net profit,” as the bank suggested. Countrywide and Rebecca Mairone, a former executive with the mortgage lender, were found liable in October for selling thousands of bad loans to the two government-sponsored enterprises. Rakoff should impose a penalty on Mairone “commensurate with her ability to pay,” government lawyers said in yesterday’s filing. Bank of America has agreed to pay $500 million to settle securities law claims by investors who said they were misled into buying Countrywide’s mortgage-backed securities. An $8.5 billion settlement with investors who claim Countrywide failed to repurchase defective mortgages pooled is waiting to be approved by a New York state judge. Countrywide Financial Corp., based in Calabasas, California, was the biggest U.S. residential home lender before the collapse of the housing market, originating or purchasing about $1.4 trillion in mortgages from 2005 to 2007. The bulk of them were sold to investors as mortgage-backed securities. Bank of America acquired Countrywide in 2008. Countrywide committed a “simple but brazen” fraud by misrepresenting risky loans processed in 2007 and 2008 through its “High Speed Swim Lane,” or HSSL, program as being of investment quality, the U.S. has said. The case was brought under the Financial Institutions Reform, Recovery and Enforcement Act of 1989, or FIRREA. That statute and another law have been used by federal prosecutors in New York at least six times to obtain almost $500 million in mortgage fraud recoveries. Under the statute, the penalty can’t exceed the amount of gain or loss from a violation. Bank of America argued that the U.S. couldn’t prove that the scheme to misrepresent the quality of its HSSL loans caused losses to Fannie Mae and Freddie Mac. “The government cannot show that any loss suffered by Fannie and Freddie in connection with the HSSL loans proximately resulted from a misrepresentation by Countrywide about the loans, as opposed to other factors such as the worldwide mortgage crisis,” the bank said in court papers. 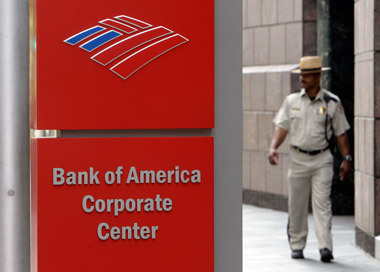 Bank of America also claimed that the government’s calculated number of faulty loans, more than 28,882, was incorrect. Countrywide earned at least $165 million using HSSL, allowing the company to maintain revenue in a “cratering” market for subprime mortgages, prosecutors told the jury in closing arguments. The U.S. in 2012 joined the whistle-blower action against Bank of America filed by former Countrywide executive Edward O’Donnell. The U.S. case is U.S. v. Countrywide Financial Corp., 12-cv-01422, U.S. District Court, Southern District of New York (Manhattan). The FHFA case is Federal Housing Finance Agency v. Countrywide Financial Corp., 12-cv-01059; and the AIG case is American International Group Inc. v. Bank of America Corp (BAC), 11-cv-10549, both U.S. District Court, Central District of California (Los Angeles).